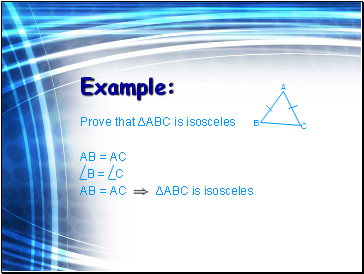 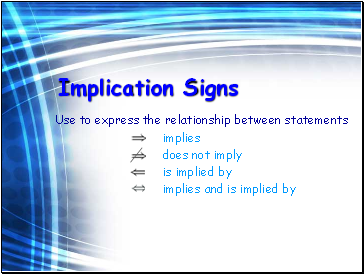 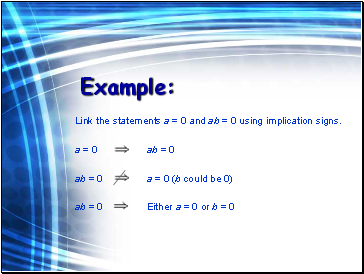 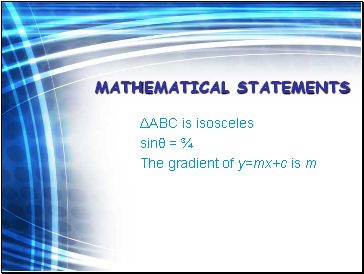 Link the statements a = 0 and ab = 0 using implication signs. 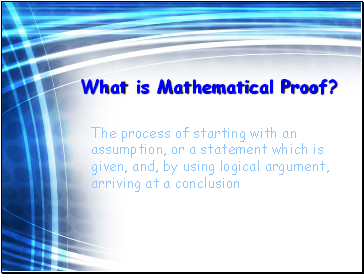 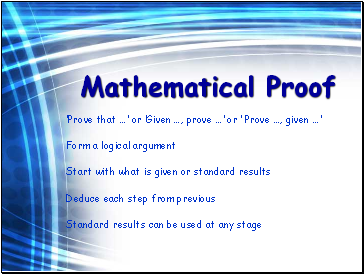 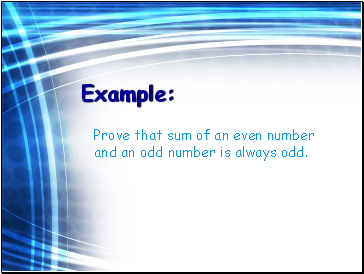 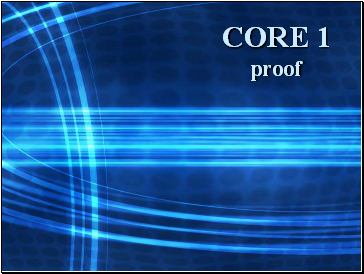 Prove that sum of an even number and an odd number is always odd. Let 2n be any even number, where n is an integer. 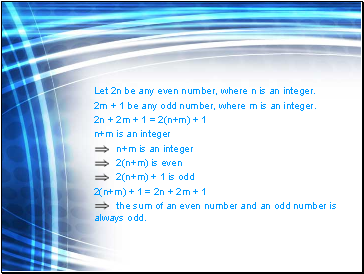 2m + 1 be any odd number, where m is an integer. 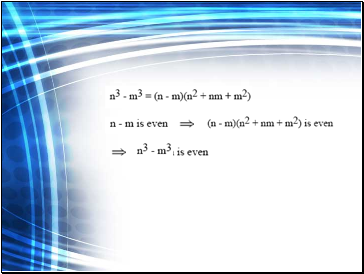 the sum of an even number and an odd number is always odd.